3D lit reference for artists! 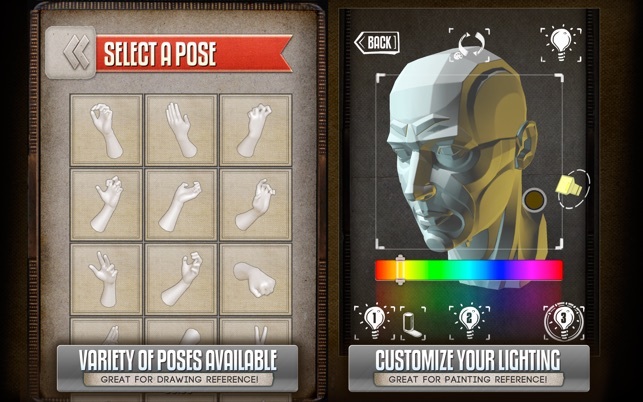 If you're an artist and ever wanted to use decent hand or foot reference without having to awkwardly pose yourself in front of a mirror, this app is for you! 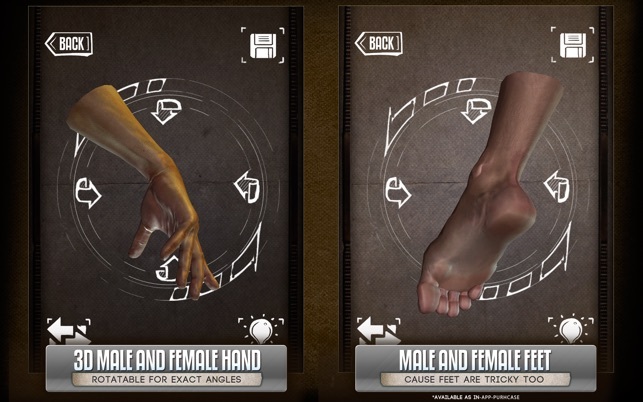 HANDY is an artist's reference tool consisting of rotatable and poseable 3D lit hands and feet (male & female) with a variety of preset poses useful for drawing. 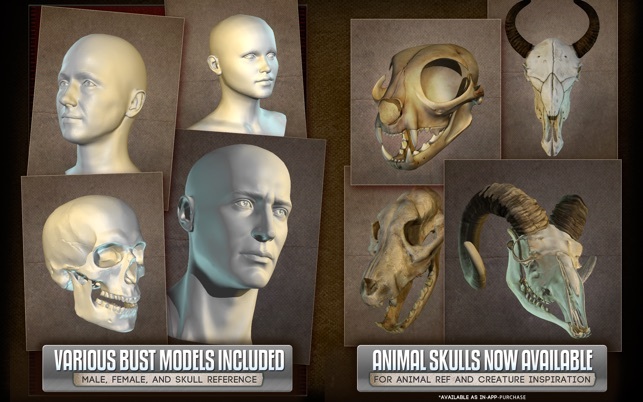 HANDY ALSO includes several human heads (male & female) and animal skulls you can rotate and light- great for getting basic lighting or angle reference or creature study! The 3 point lighting rig is also modifiable, so you can rotate and light the model as necessary for your reference. Great for painters who need to see the shapes lighting and shadows create. Perfect for comic book artist, painters, or just casual sketchers! - Fix for glitchy looking screenshot transparency when taking one without the background included. It is just a port of a mobile app. The interface is wonky.